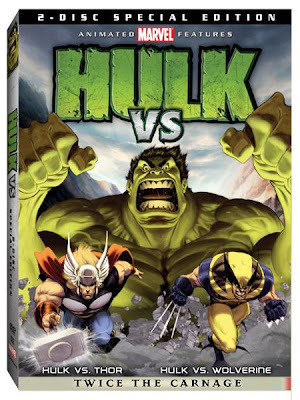 An odd combination of narratives; both seemingly intended for children, the cartoons have commendable animation and are close representations of the Marvel comics that they represent. I found that the Thor disk was much more appropriate for children, even educational if one is interested in Nordic Mythology. One must commend the directors and writers to string together a believable story that would bring these two titans of battle against one another. The battle itself does not disappoint and the story is pretty interesting. Hulk fans will be pleased. Wolverine is fast becoming a very well-known character in the entertainment industry, but what I really enjoyed about this disc was the devotion to Logan’s (Wolverine) past affiliation with more insidious characters and those villain’s representations in the story itself. The assassin Deadpool’s inclusion in the narrative was a move of comedic genius. This story is very bloody and violent, though some may say it’s suitable for more mature audiences. The actual battle between the scrappy grizzled pit fighter and the huge emerald behemoth is seriously an amazing slugfest that really doesn’t disappoint. The story is very entertaining and engaging, as most audiences have probably not seen the villains. All and all, both stories are fun for fans of the comics. For those who might not be interested in comics, but may have enjoyed the X-Men or Hulk movies, they may enjoy the Wolverine disc.